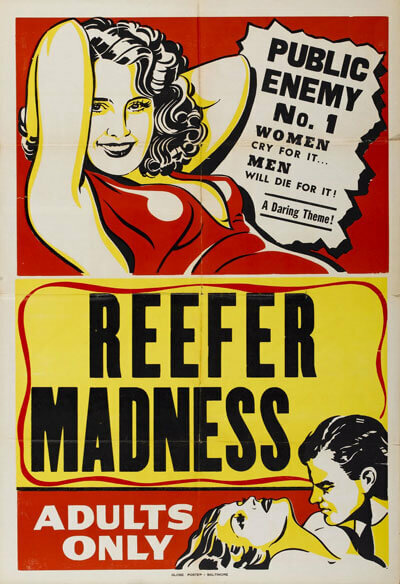 May 19 Reefer Madness Film Streams, 1340 Mike Fahey St. $9 general, $7 students, 7 p.m., filmstreams.org, 402.933.0259 Every once in a while, a great film comes along that scares straight a generation to the path of righteousness. 1936’s masterpiece-of-the-overwrought Reefer Madness is not one of those movies. Part of a period of intense anti-marijuana propaganda (which successfully lead to the Marijuana Tax Stamp Act of 1937, effectively banishing the drug) the film amps up the negative consequences of pot, in a pre-eating-a-whole-bag-of-Funyuns era. There are few acts the freaked out youth don’t attempt under the influence of the demon weed. Film Streams’ showing is all a pre-game for the Blue Barn Theatre’s June run of Reefer Madness: The Musical. A truly awful relic of a certain era, this film is definitely worth a view.